Skincare has always been a difficult subject to me. When all my friends and colleagues are talking about these amazing, fragranced products they’ve tried, I’m sat there all quiet because I can’t use them. I can’t go into Lush and use their bath bombs whatsoever. Eczema is such a pain when trying new products. I have to buy basic sensitive skin products and have a prescribed moisturiser during the winter because it gets so bad! 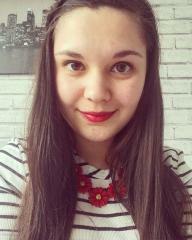 When Laura from Skintifique contacted me about trying some new skincare, I made sure to do a tonne of research before accepting her offer. After a few emails were exchanged, I settle on trying the Skintifique Eczema Pack. It includes two of their four products: the Moisturising Lotion HP and the Hydrating Gel Plus HS. 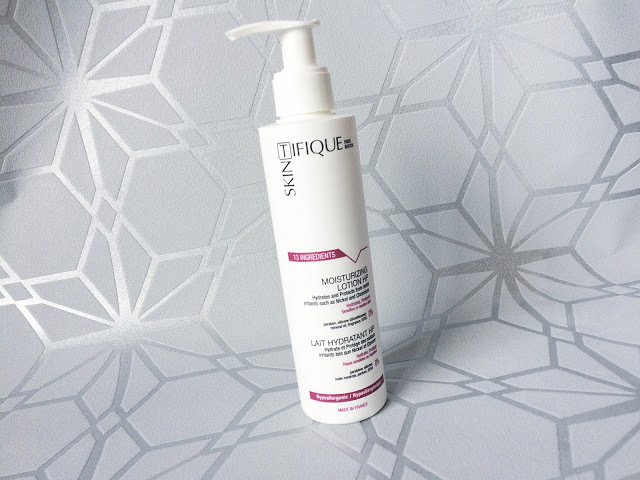 Skintifique are a French/American skincare brand who specialise in pure products. Every Skintifique product is cruelty free and vegan as well as alcohol-free. They are also “the world’s first skincare product to provide protection against allergies to metals such as Nickel, Chromium and Cobalt”. 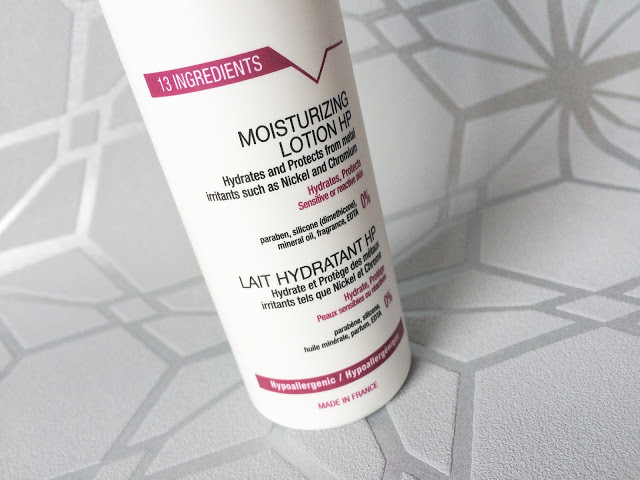 The first product in the Eczema pack is the Moisturising Lotion HP. 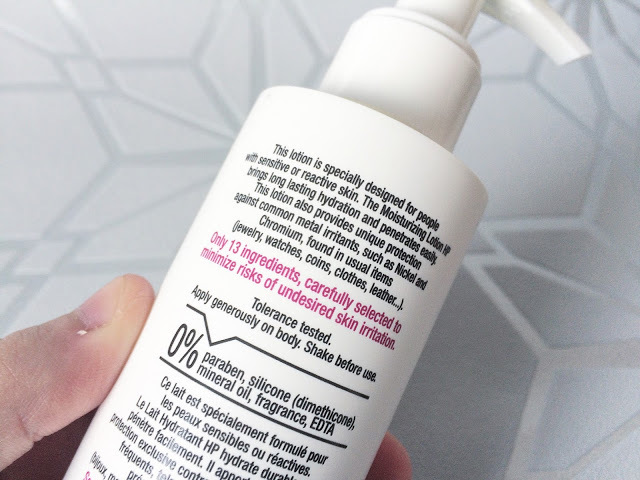 First of all, a 200ml bottle is a decent size and pump dispensers are always my favourite for moisturisers that I keep at home. It can be used on the body and/or face which is where I’ve been using it. I’ve been using this daily for two weeks now and I already am so impressed! I’ve used it on my face every morning and used it on any flaky and itchy skin on my body. I’m not going to say it’s disappeared completely but I’ve noticed a decline in itching and redness in those areas. I am a huge fan of the pump dispenser and love that it can be closed so no spillage! I’ll definitely keep using it for the time being! 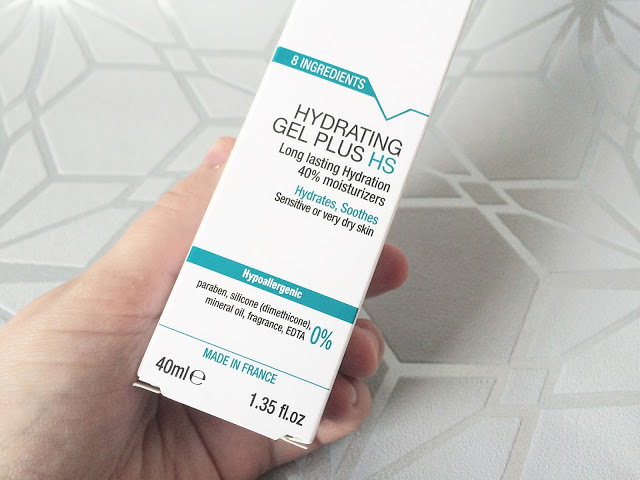 The second product in the eczema pack is the Hydrating Gel Plus HS. 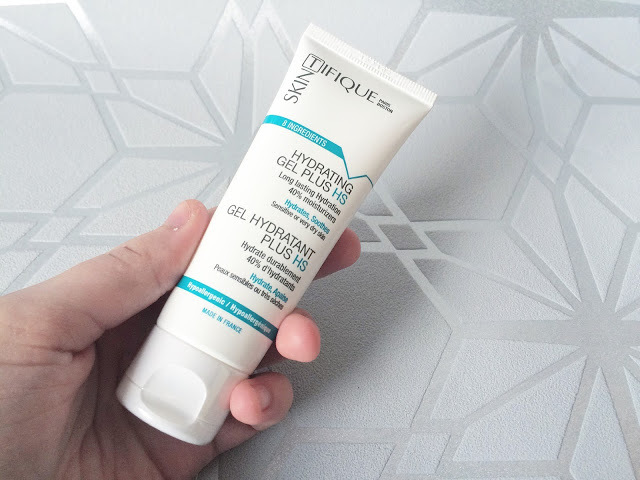 The gel is a more intense cream than the moisturiser hence why it comes in a 40ml tube. Again it can be used on the face and body but I’ve been using it as a night moisturiser because of its thickness. 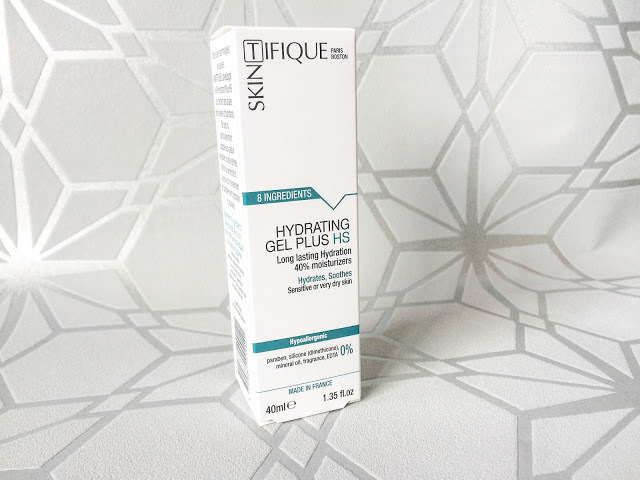 With the Hydrating Gel, a little goes a long way. I’ve found it takes a lot longer to sink in than the moisturising lotion but I don’t mind that on a night time. 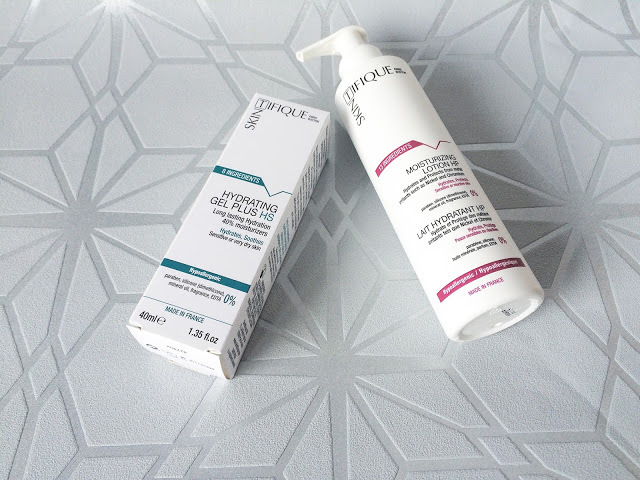 In a morning, I wake up with refreshed skin that doesn’t feel dry or greasy for a change! 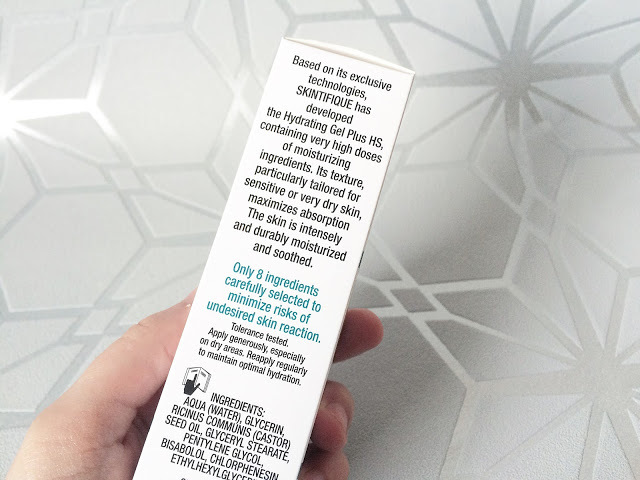 I’m thrilled I haven’t had a reaction to either product which usually happens with skincare for me! The eczema pack that I received is definitely something I will look into purchasing myself although I think these two products will last me a while! I’m also looking into buying the other products in the range as I was so impressed! You can buy the Eczema pack here or buy the Moisturising Lotion and Hydrating Gel seperately. I was sent these products to review but all views are my own!